Rixos, the leading hotel group of Turkey opened the doors to their Bomonty residence entering the highly competitive furnished apartments for rent industry in Istanbul. Rixos Bomonty Residence Hotel is home to 296 furnished apartments in Sisli, the city center of Istanbul and offers its guests wide range of amenities including open and closed swimming pools, a fitness center, a SPA, and a restaurant and a bar. 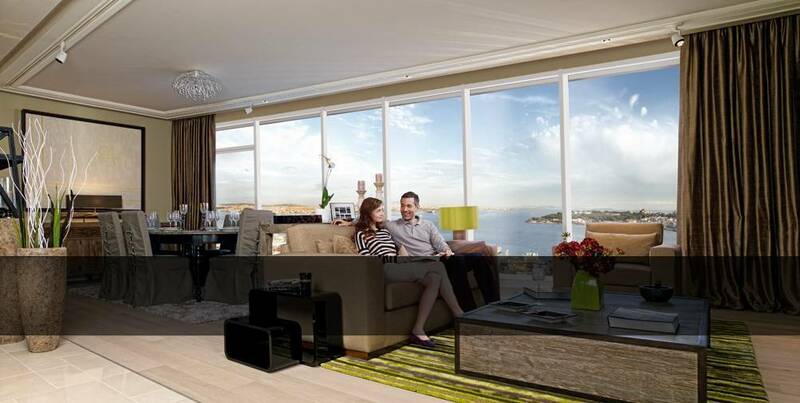 The residence is conveniently located with easy access to central parts of Istanbul. Bomonti is fast becoming an ideal neighborhood with many hi rise residences popping up in the area. Bomonty residence is located only 21km from Ataturk Airport and 40km from the Sabiha Gokcen airport in the Asian part of the city. There are also at least 5 high end shopping centers within 5 km of the Bomonty residence including Demirören on İstiklal, City’s in Nişantaşı, Profilo, Cevahir and Astoria in Gayrettepe. If you are looking for a short or mid term furnished apartment for rent in Istanbul, Rixos Bomonty provides competitive rates and outstanding accommodation options to its guests. Checkout the official Rixos website for rates & availability at Rixos Bomonty residences.